CLOSEOUTS. 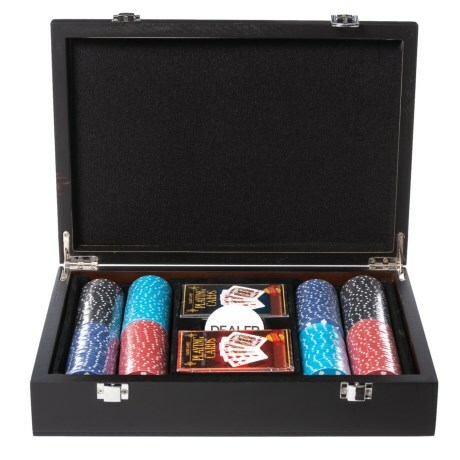 Hook into the jackpot with this deluxe poker game set, complete with 200 dual-tone clay poker chips and two decks of cards that fit neatly organized in the wooden chip holder. Available Colors: SEE PHOTO.